For those applications where just a little bit longer footpeg would be nice (to clear other accessories, or just for more comfort), these extensions are the ticket! 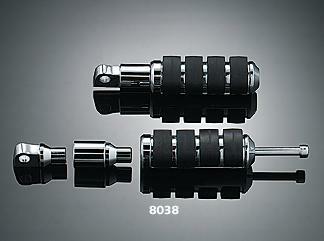 Two lengths are available to fit Küryakyn Small ISO-Pegs. Exploded view is shown here.